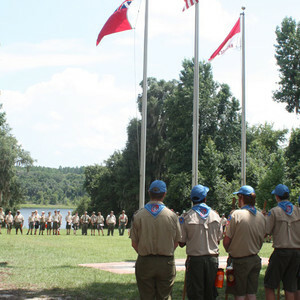 The 39th annual NYLT Summer Course will be held July 28 - August 3, 2019 at Camp Shands, 1453 Baden Powell Road, Hawthorne FL 32640. 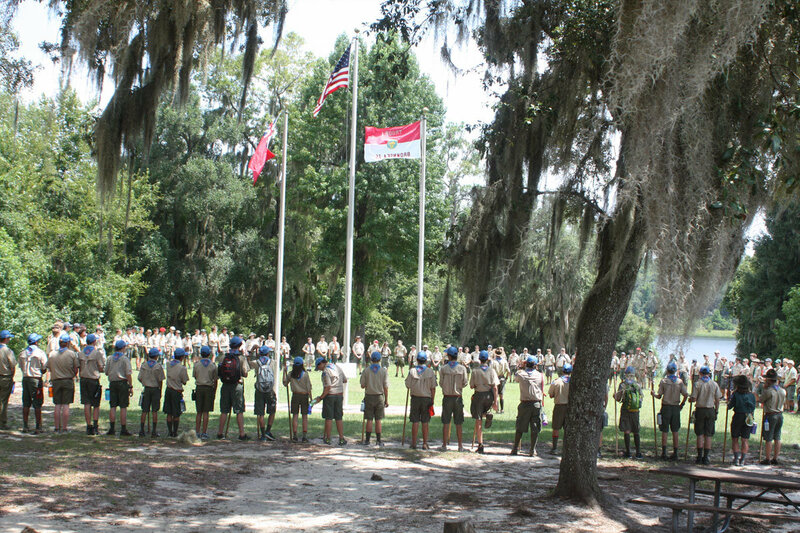 The NYLT Winter Course will be held December 2019 at St. Johns River Base at Echockotee, 2513 Doctor’s Lake Dr., Orange Park, FL 32073. National Youth Leadership Training (NYLT) is an exciting, action-packed program designed to provide youth members of Scouts BSA, Sea Scouts or Venturing with leadership skills and experiences they can use in their home troops or Crews and in other situations demanding knowledge, responsibility, and leadership of self and others. The NYLT course centers around the concepts of what a leader must BE, what he or she must KNOW, and what he or she must DO. The key elements are then taught with a clear focus on HOW TO. The skills come alive during the week as each Scouts goes on a Quest for the Meaning of Leadership. Most of all, the purpose of NYLT is to HAVE FUN! The National Youth Leadership Training program is an intensive week-long experience for upper-ranking Scouts BSA, Sea Scouts and Venturers. Each participant works through a week of indoor and outdoor team based challenges, with the mentoring of the highly skilled and well prepared Youth Staff. Participants are equipped with the basic skills necessary to become leaders in their troops, crews, ships, communities, and future professions. 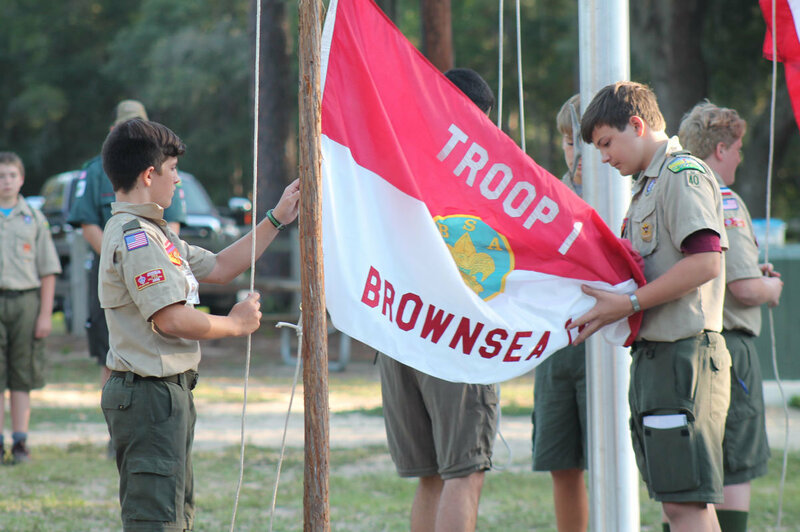 During the seven days, program activities will range from geocaching to knots instruction, sports games, realistic first aid practice, overnight backpacking trips, inter-patrol competitions and campfires. Each part of the program is carefully prepared and used as a hands-on tool to teach fundamental leadership concepts. An orientation at the beginning of the week, and a graduation ceremony at the end of the week serve to round out the experience. Since its establishment in 1976, the NYLT program has built a strong legacy of service and leadership. 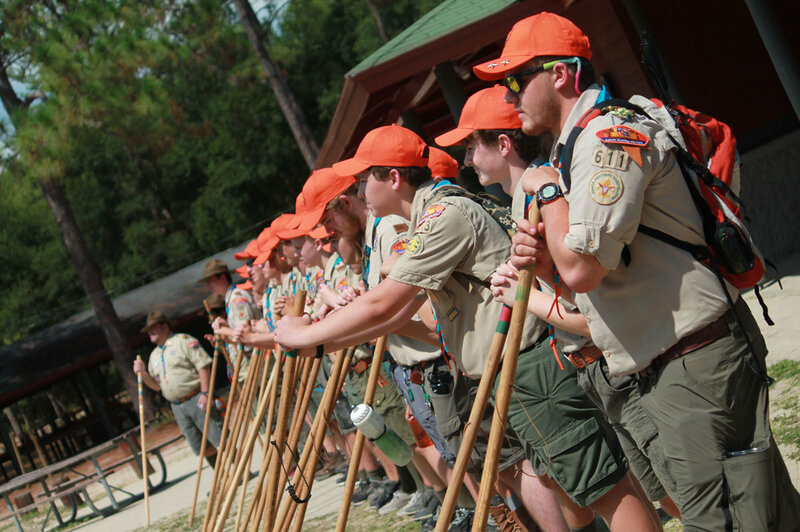 NYLT is now held in almost every Scout Council across the nation; the course for youth in the North Florida Council is held each summer at Camp Shands in Hawthorne, FL, and each winter at St. Johns River Base at Echokotee, in Jacksonville, Fl.